A Geographical Indication in Vietnam (GI) is a name or sign which identifies goods as having a specific geographical origin, and possessing qualities, reputation, or characteristics that are essentially attributable to products from that place of origin. GIs have been recognised in Vietnam since the promulgation of the Vietnam IP Law in 2005. Per Article 4.22 of the Vietnam IP Law in 2005, “A geographical indication means a sign which identifies a product as originating from a specific region, locality, territory or country”. Vietnam has over fifteen years of experience in GI protection, and GIs are considered an important tool for socio-economic development in the country. 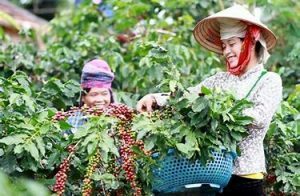 Coffee is the third product of Son La to announce geographical indications after Shan Tuyet Moc Chau tea and Yen Chau round mango. The publication of geographical indications contributes to boosting investment attraction, cooperation and cooperation between businesses, cooperatives and farmers in order to develop brands and enhance the position on Vietnamese coffee maps. Spich is The basis of helping businesses and people protect and develop the quality and origin values, contribute to improving the reputation and developing markets for specialty coffee products of Son La province. However, this is only the first step, so the management and use of Son La coffee geographical indications should be paid attention and focused on. Besides, the province also needs to consider to have policies to support the development of resources to manage geographical indications in general and the geographical indication of Son La coffee in particular to effectively promote all value of geographical indications. Products from Arabica coffee produced in Son La include: green coffee, powdered coffee and roasted seed coffee. In particular, green coffee beans are exported to many countries such as the US, Japan and EU…eaking at the ceremony, Mr. Dinh Huu Phi – Director of the NOIP said that Son La coffee products recognized as geographical indications are the State’s recognition for a specialty product of the province, which is The basis of helping businesses and people protect and develop the quality and origin values, contribute to improving the reputation and developing markets for specialty coffee products of Son La province. However, this is only the first step, so the management and use of Son La coffee geographical indications should be paid attention and focused on. Besides, the province also needs to consider to have policies to support the development of resources to manage geographical indications in general and the geographical indication of Son La coffee in particular to effectively promote all value of geographical indications. Coffee plants bring significant economic benefits. Many households have an income of VND 200 million/year thanks to planting this plant, “said Mr. Cam Ngoc Minh, Chairman of Son La Provincial People’s Committee, and said that the province will focus on developing coffee trees in depth, intensifying intensive farming, expand the scale and build brand products to gradually dominate the domestic market and export.